Sadrac and Sarah Difren are missionaries with SCORE in Domincan Republic. They have been married for 5 years and have two kids, Jaiden and Aaron. Sadrac goes out with groups and translates for them, as he speaks 4 languages…English, Spanish, Creole, and French. Their main focus on the field is working with medical groups, but when there is none, they also work with church, sports, and school groups. 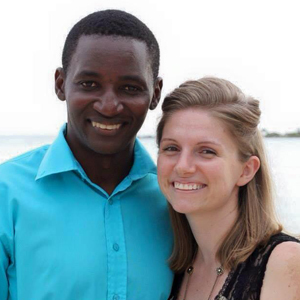 Sadrac is also a pastor at a local church called Juan 3:16 and has been pastoring there for about 3 years now. Sarah is a homemaker, but is very involved in the church with the young teen girls and women’s ministries and also is involved with La Leche League in Dominican Republic. She also helps out in the DR office with organizing group schedules, etc.